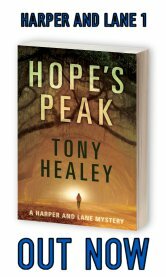 Hope’s Peak is now available to Pr-eorder! We have a cover! We have a pre-order link! Detective Jane Harper can’t shake the image of the young woman discovered in a field—eyes closed, a crown of woven vines on her head. She expects macabre murders like this in her native San Francisco, not here. 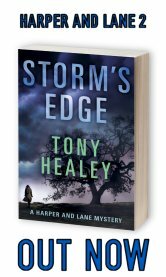 Jane and her partner, Stu, vow to catch the killer, but in this town, that’s easier said than done. The police department is in the grips of a wide-reaching scandal that could topple the entire force, and Jane and Stu face a series of dead ends. Until they meet Ida Lane. And here’s a little sample of what’s in store. I promise you, this novel is worth the wait. It’s my best work, and I’m very proud of it. A living being has warmth, the reassuring rhythm of its heart, the flow of hot blood through miles of veins. It has the marriage of mind and spirit, united in forming a whole. Ida relishes such connections. They bring insight, allow her to experience the bond of humanity she has missed out on. Tapping into memory, into feelings. Touching a pregnant woman’s stomach, hearing the hum of the tiny life within . . . all of it a wonder. With the dead, it’s different. It is not a merging of psyches, but an electric shock, a charge of energy fusing her to the spirit locked within the lifeless body. The voice howls like the wind: unbalanced, completely open. Pulling her in, forcing her to see, to hear, to feel . 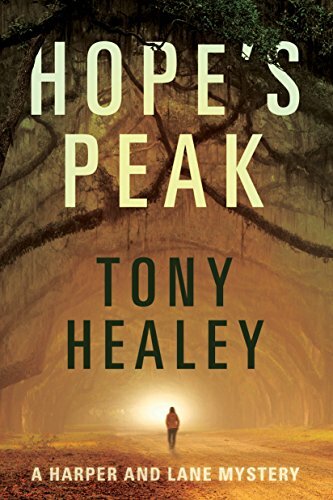 . .
Pre-order your copy of Hope’s Peak, and let me know in the comments below!